A search warrant was executed at the suspect's home Thursday. Several items from the victims were found inside his home, police said. Douglas was charged in May 2013 in connection with killing Michael Brown in Seat Pleasant during a home invasion, authorities said. Douglas was found not guilty in Brown's death. Detectives would like to talk to any other potential victims. 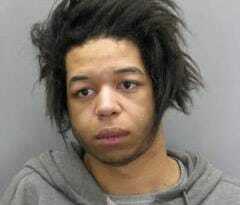 It's believed Douglas may have robbed other victims in the Landover area in recent months. Anyone with information on this suspect or these cases is urged to call our Regional Investigation Division – Central Region at 301-772-4425. Police seek suspects who robbed 13-year-old in Va.